It was with great interest that I recently read Using Technology to Support Prospective Science Teachers in Learning and Teaching About Scientific Models (Cullin & Crawford, 2003). This article presented a convincing argument that the role of models and modeling in science education represented an important and often neglected aspect of investigative science in the classroom. Specifically, the paper presented efforts to engage preservice secondary science teachers participating in a methods course and teaching practicum in modeling experiences ultimately brought to the fore by building and testing dynamic computer models. While the results were mixed, there was a demonstrated shift in the preservice teachers' views of model use from a teacher-centered use for explaining concepts to a student-centered approach using models to learn about natural phenomena. Petrosino, A.J. (2003). Commentary: A Framework for Supporting Learning and Teaching About Mathematical and Scientific Models. 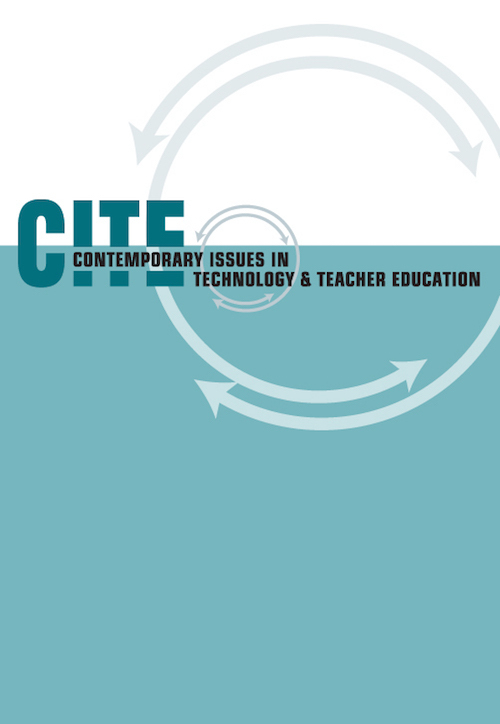 Contemporary Issues in Technology and Teacher Education, 3 (3), 288-299. Norfolk, VA: Society for Information Technology & Teacher Education. Retrieved April 19, 2019 from https://www.learntechlib.org/primary/p/19912/. Bruer, J. (1993). Schools for thought: A science of learning in the classroom. Cambridge, MA: MIT Press. Gentner, D., & Toupin, C. (1986). Systematicity and similarity in the development of analogy. Cognitive Science, 10, 277-00. Grosslight, L., Unger, C., Jay, E., & Smith, C.L. (1991). Understanding models and their use in science: Conceptions of middle and high school students and experts. Journal of Research in Science Teaching, 29, 799-822. Hancock, J., Kaput, J.J., & Goldsmith, L.T. (1992). Authentic inquiry with data: Critical barriers to classroom implementation. Educational Psychologist, 27, 337-364. Horvath, J., & Lehrer, R. (1998). A model-based perspective on the development of children’s understanding of chance and uncertainty. In S.P. LaJoie (Ed. ), Reflections on statistics: Agendas for learning, teaching, and assessment in K-12 (pp. 121-148). Mahwah, NJ: Lawrence Erlbaum. Jonassen, D.H. (2003). Using cognitive tools to represent problems. Journal of Research on Technology in Education 35(3), 362-381. Lehrer, R., & Romberg, T. (1996). Exploring children’s data modeling. Cognition and Instruction, 14, 69-108. Lehrer, R., & Schauble, L. (2000). Modeling in mathematics and science. In Robert Glaser (Ed. ), Advances in instructional psychology. Educational design and cognitive science. Mahwah, NJ: Lawrence Erlbaum. Metz, K.E. (1995). Reassessment of developmental constraints on children’s science instruction. Review of Educational Research, 65, 93-127. Mokros, J., & Russell, S.R. (1995). Children’s conceptions of average and representativeness. Journal of Research in Mathematics Education, 26, 2039. Petrosino, A.J. (1998). At-risk children’s use of reflection and revision in hands-on experimental activities. Dissertation Abstracts International-A, 59 (03). (UMI No. AAT 9827617). Petrosino, A.J., Lehrer, R., & Schauble, L. (2003). Structuring error and experimental variation as distribution in the fourth grade. Mathematical Thinking and Learning, 5(2 & 3), 131-156. Resnick, M. (1995). Turtles, termites, and traffic jams. Cambridge, MA: MIT Press. Schauble, L., Glaser, R., Duschl, R.A., Schulze, S., & John, J. (1995). Students’ understanding of the objectives and procedures of experimentation in the science classroom. The Journal of the Learning Sciences, 4, 131-166.